Dina advises on a range of corporate, commercial, and regulatory law matters. She has worked with a variety of clients, including both international and domestic entities, government, public and private institutions. Dina holds a joint JD/LLB from Osgoode Hall Law School, Toronto, Canada. She is qualified as a Barrister and Solicitor in Canada and a member of the Ontario Bar. She is fluent in English and speaks Arabic. 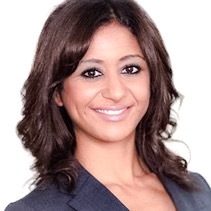 Dina Mahdi, Senior Associate in Hadef & Partners Dispute Resolution Team, reflects on her trip with 7 of our partners, to the IBA annual conference.